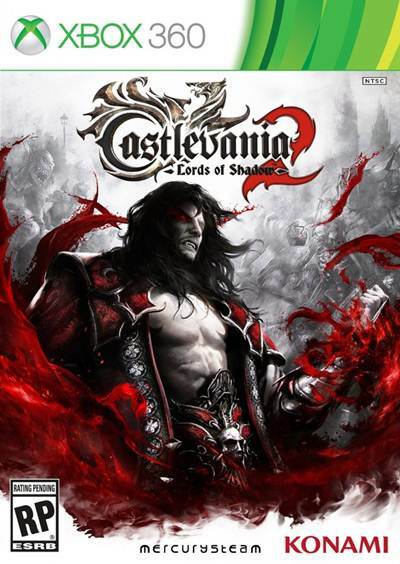 A complete guide for Castlevania: Lords of Shadow 2. Check out this mega guide Castlevania Lords of Shadow 2. for Using this guide you will be able to find all Pile of Sacrifice, Kleidos Runes, Relic Upgrades, Pain Boxes, Art Locations, Gemslocations [life gem, void gem and chaos gems], cheats, different skills, weapons and mastery tips, gaining more experience points, importance of Dodo Egg and unlocking trophies and achievements. Castlevania Lords of Shadow 2 is bigger in scale compared to the original which was released back in 2010. Let us know if you have any questions in the comments section below. There are 17 of them, all located in five different locations. They may contain relic upgrades or Kleidos runes. These are located throughout the game and some of them are easy to find whereas some of them are hidden. There are six Pile of of Sacrifice locations in Sciences District. There is one Pile of Sacrifice in Downtown. There are four in Arts District. There are four in Victory plaza. There are two in Overlook Tower. Note: There are 2 upgrades for each relic. Talisman does not have an upgrade. There are 400 pieces of art work scattered across the game. Try destroying objects to fund them. Chupacabras also stock them in their shops. So make sure you buy a art icon from them as these consists of 7 different arts. Gems are divided in to three type: Life, Chaos and Void. There are 30 Life gems in Castlevania: Lords of Shadow 2. Collect all of them using the video below. Please note that once you collect all of them you will also unlock the Life Collector Trophy/Achievement. There are six void gems in Sciences District. There are two void gems in Downtown. There are two in Arts District. There are four in Overlook Tower. There are five chaos gems in Sciences District. There are three chaos gems in Downtown. There are five in Arts District. There are five in Victory plaza. This code worked in the first game, may or may not work in the sequel but worth a shot. Enter the code on PS3: Up, Up, Down, Down, Left, Right, Left, Right, O, X. Enter the code on Xbox 360 & PC: Up, Up, Down, Down, Left, Right, Left, Right, B, A. Acquire all of the skills and upgrades. There are only 3 weapons in the game: Shadow Whip, Void Sword, and Chaos Claws. You need 120,000 experience points to unlock all of the skills. Note that some skills needs to be unlocked in a particular order. As mentioned above, you have 3 weapons in the game and each of them have a skill tree indicated by circles. Depending on your combat style i.e. which of the weapons you use most, each of the circles for that respective weapon will be filled red. Once they are completely filled, you can unlock them. Each of them have a mastery level of maximum three. So your best bet to each mastery is to take down each and every enemy that you come across and try farming once they respawn. You can earn more experience points by engaging in combat, progressions of the story, quick time events, breaking and destroying objects. The best way to earn more experience points is to play the game at the highest difficult which is ‘Prince of Darkness’. It will help you find Piles of Sacrifices. It will help you find pain boxes. It will help you find Gems. You need to Complete the game at “Prince of Darkness” difficulty. Complete all the Reminiscences of Sapphire challenges. You need to have four Kleidos pieces to unlock the sapphire challenges. Refer the Kleidos guide above. Complete all the Recollections of Ruby challenges. You need to have 8 Kleidos pieces to unlock the ruby challenges. Refer the Kleidos guide above. Complete all the Reminders of Amethyst challenges. You need to have 12 Kleidos pieces to unlock the Amethyst challenges. Refer the Kleidos guide above. Complete all the Memories of Emerald challenges. You need to have 16 Kleidos pieces to unlock the Emerald challenges. Refer the Kleidos guide above. Complete all of the four Kleidos challenges. Complete all of the Kleidos challenges at “Prince of Darkness” difficulty. Recover 30 Void Gems. Use guide above. Recover 30 Chaos Gems. Use guide above. Recover 30 Life Gems. Use guide above. Recover all the Void, Chaos and Life gems. Use guide above. Recover all the upgrades for the Relics. See guide above. Collect all of the art. Refer guide above. These four achievements/trophies can be unlocked using the skill guide above. Spend a total of 20000 Experience Points at the Chupacabras’ shop. Refer Mastering all weapons guide above. You need kill Agreus boss’s giant bird using Chaos Bombs. Complete 110% of the game. For this you need to complete the game, find all collectibles, unlock skills and upgrades, achieve mastery in all weapons, complete Kleidos challenges on ‘Prince of Darkness’ difficulty. Note: This guide will be updated once we have more information about the game.